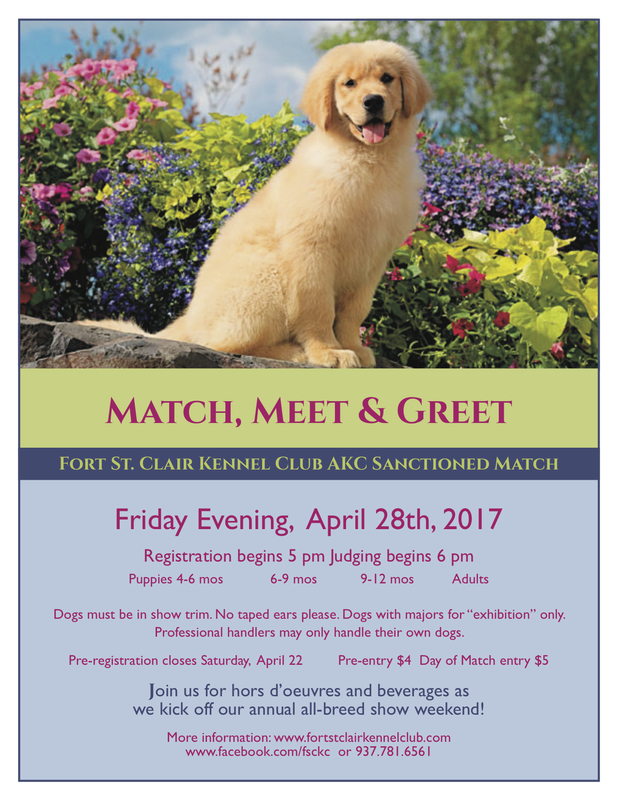 Join us on Friday, April 28th for an AKC sanctioned match (registration begins at 5, judging starts at 6) along with a Meet & Greet to kick off the show weekend. The Match has the usual rules: dogs must in be in show trim, no taped ears please, professional handlers only on their own dogs. Dogs with majors for exhibition only please. The entry blank can be found here and should be sent to Match Secretary Gary Sinck at 725 Xenia Ave, Dayton, OH 45410, and must be postmarked by Saturday, April 22nd. The pre-entry price is $4 per dog. Entry at the match itself with be $5. This is a great low-key and relaxed opportunity to practice in the same venue as the next day’s show. Everyone is welcome to join us for hors d’ouevres and beverages to kick off our annual shows and to help us celebrate our 25th birthday! 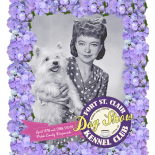 This entry was posted on April 3, 2017 by fortstclairkennelclub in American Kennel Club, Dog Shows, Dog Training, Eaton, Fort St. Clair Kennel Club, Purebred Dogs and tagged 2017 Match, AKC match, Fort St. Clair Kennel Club, match, match entry form, match in Indiana, match in Ohio, meet and greet.